LOCATION.--Lat 40°50'58", long 73°13'27" referenced to North American Datum of 1983, Suffolk County, NY, Hydrologic Unit 02030201, on left bank 0.5 mi downstream from New Mill Pond, 1.0 mi southwest of Smithtown, and 1.5 mi southwest of Village of Smithtown Branch. REVISIONS HISTORY.--WSP 1141: Drainage area. GAGE.--Water-stage recorder and concrete control. 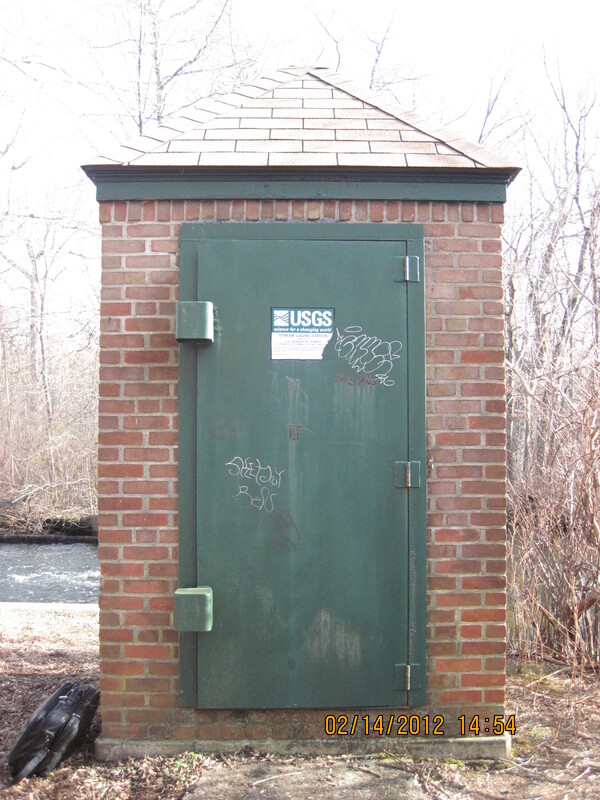 Datum of gage is 9.59 ft above NGVD of 1929 and 8.52 ft above NAVD of 1988 (VERTCON). REMARKS.--Occasional regulation caused by cleaning of fish screens and trash racks at outlet of New Mill Pond on main stream and ponds on tributaries above station. Satellite gage-height telemeter at station. EXTREMES FOR PERIOD OF RECORD.--Maximum discharge, 952 ft³/s, Jan. 22, 1979, gage height, 3.22 ft, result of dam failure; minimum discharge, 16 ft³/s, June 5, 6, 1967; minimum gage height, 0.46 ft, Feb. 9, 1951.